Liberia: What Was Meant for Evil, God Uses for Good! 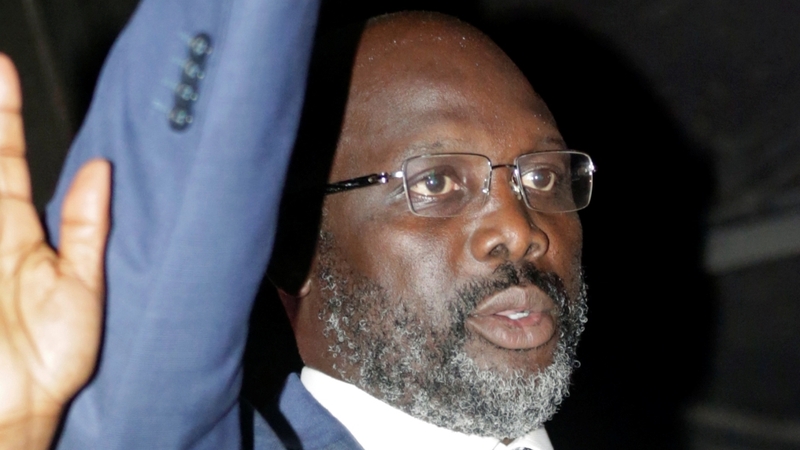 President-Elect George Manneh Weah, please accept my warmest congratulations on your victory as the 25th President of the Republic of Liberia, and best wishes for your success as you undertake the responsibilities and challenges of our highest office. This victory is also the triumph of the common people, so there isn’t any doubt that they will be traveling along. That grassroots base believed in you when others didn’t; they, too, deserve to be congratulated for their resilient massive support throughout the years. I must also extend sincere thanks to our ECOWAS kin, and development partners for the significant role they played in ensuring that political stakeholders understood that the international community was invested in the peaceful completion of the electoral process. Indeed, who would forget the contributions of the Security Sector, especially LNP, for demonstrating commitment to maintaining law and order: We give GOD Almighty the Glory! Joseph was born to Jacob, whose father was Abraham, men whom God have had great covenants and promises with. Joseph’s brothers hated him because he was their father’s favorite and because Joseph had a special connection with God. The last straw for these older brothers was when Joseph told them of a dream he had had where they would one day bow down to him. They felt Joseph was bragging; like we say in Liberia, “He was full of himself.” So they decided to teach him a lesson - they threw him into a pit and sold him into slavery. While a slave in Egypt, Joseph still stayed close and faithful to God. When given the opportunity to have sexual relation with his master Potiphar’s pretty wife; he refused, saying I will not sin against God. Because Joseph refused her advancement, she lied that he assaulted her; Potiphar and the authorities believed her. Joseph was thrown in prison based on her false accusation (Genesis 39). Yet, Joseph remained faithful to God and was used by the Lord as a dream interpreter for Pharaoh. Joseph correctly interpreted Pharaoh’s dreams. He revealed to him that a great famine was going to come upon the whole world. Because he correctly interpreted this particle dream, Pharaoh released him from prison and elevated him to second in command of the kingdom. During the presidential campaign, all of the candidates dismissed you as being the least qualified. Yet, you made it through the 1st round, and finally won the run-off election. The question is why did it happen? I found an answer in Corinthians 1, verses 29 to 31. God find delight in using nobodies as His nobility. The first reason is: “that no flesh should glory in His presence” (1 Corinthians 1, verse 29); and the second reason is: “He who glories let him glory in the Lord” 1 Corinthians 1, verse 31). If we operate in our own strength and not God’s, we risk taking the glory and credit for ourselves. Scripture tells us that we must be weak and low enough in order for God to use us. For nothing is too hard for God (Jeremiah 32:27). He can do anything if you'll just give Him a chance. He can do anything, but fail! We must come together to build the country, and since the people loudly gave you a mandate, the duty of reconciler falls on your head. Teamwork has been central to an awesome first career, which means you would bring that experience in play towards bridging the many divides that polarize our nation. Not everyone that opposed you in the election would be won over immediately. But as some see how determined you are to heal the wounds of the country, they would be proud to contribute towards improving the lives of our people. The opposition is not the enemy! Without the opposition, the ruling party would do as it wishes. The opposition has a stake in what goes on in the country; they too, represent the interests of segments of the populace. Opposition parties are vital to participatory democracies. One of the main functions of the opposition is to posit a competitive alternative government. It initiates policy proposals too, and if more members are in favor such a proposal can become government policy, or law. It also acts as check on the executive branch, or watchdog to ensure that the governmental actions stay within the parameters of the constitution. In some countries where there is a two-party system, the Opposition party forms a ‘shadow cabinet’ to exercise vigil over the performance of the government. Don’t allow anyone to tell you to take Opposition members’ heckling as a personal affront. There is where Bob Marley’s song titled: “Who the Cap Fit” becomes the appropriate advice for leaders. The tunes focused on trust, hypocrisy and deception. The expression ‘if the cap fits, wear it’ is a very popular English idiom which was made popular by the late legendary reggae musician Bob Marley. The alternative, ‘if the shoe fits, wear it’ is not as common as ‘if the cap fits, wear’ but it is still relevant today in our lives. 1) A government payroll comprised of bonanza compensations of higher echelons which consume a third of annual budget is untenable in a country with mind - boggling young adult joblessness, and lack of a functional modern public library: Wage stabilization should be a priority task in the first 100 days after inauguration. 2) Any economic adviser who tells you that markets create jobs, not government is lying. Capitalist Germany is the richest among EU countries because it invests billions of US dollars in workforce development and apprenticeship programs to reduce unemployment, which helps to bridge inequality gap. The more people who have jobs, the more taxes government collect from their earnings, and spending as consumers of goods and services. You must place priority on developing the human resource capacity of the country by investing in the people to develop their talents and abilities. 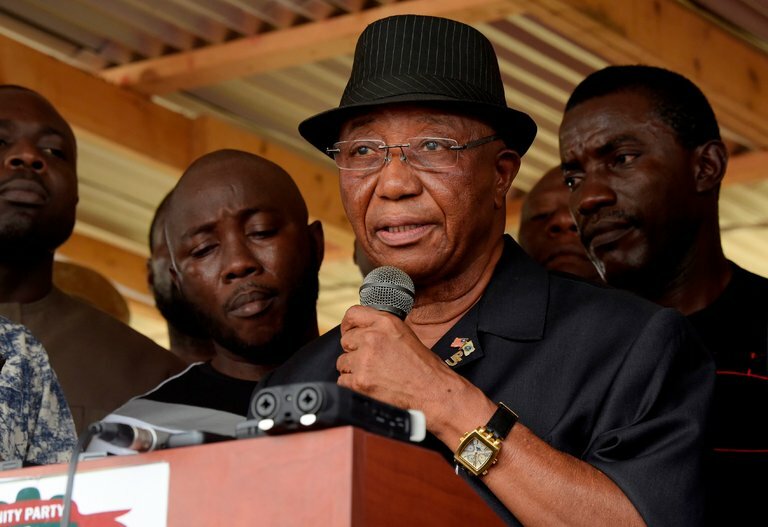 The old development model that relied heavily on the extractive industry and foreign aid, has not worked; that is why Liberia was once described in the 60s and 70s as a country that was experiencing “growth without development”, because it neglected investing in its people and programs to improve their living conditions! You need to surround yourself with very able economic thinkers and good advisers that can truly help you and the country! 3) Infrastructural Development & Fighting Poverty: Roads are cardinal to development. Lofa County and the Southeastern region of Cape Palmas, Sinoe, Grand Kru, Grand Gedeh, Rivercess, for example, are potential economic centers that will bring in revenues. Because of high rainfall and low - lying lands, road construction in these places would require bridges and overpasses, and those aren’t cheap. Mind you, infrastructural development is also a major job creator for unskilled workers. A former Justice Minister, Counsellor Benedict Sannoh, once told the Legislature that poverty was the greatest threat to national security. It still is, and will continue to pose a threat until the new government bluntly takes on unemployment and food production. A nation with high rainfall and fertile land like ours shouldn’t be importing its staple foodstuff from neighbors and abroad. As you stated in your Acceptance speech two days ago, that you are committed to “Pro-poor public governance”, it is important that you truly commit your first-term to fighting the scourge of poverty to improve the living conditions of our people! 4) We are a nation of laws, and we have statutes against all type of criminal offenses; for instance, economic sabotage, theft, embezzlement, fraudulent conversion, bribery, forgery (white collar crimes), and so on; let the criminal justice system enforce the laws. Corruption reduces revenues that could have been used to provide opportunities for the downtrodden. You now have an opportunity to appoint a Justice Minister-Attorney General, with impeccable credentials and a record of pursuing justice without fear or favor; to be given the mandate to review all of the audit reports, as well as reports from independent commissions appointed under the former regime that have gathered dust over the last six years! Pursuing corruption cannot just be rhetorical posturing; you, as president, must demonstrate action and send a loud and clear message that you truly mean business by what you say! Finally, to change – is to become different; transform, example: from one phase to another, as the moon or the seasons. Idiomatically speaking, change hands: to pass from one owner to another; change (one’s) mind: to reverse a previous held opinion or an earlier decision; change (one’s) tune: to alter one’s approach or attitude. On the other hand, legacy is individualized, which mean you create your own. An individual cannot carry on another personal’s legacy! One upon a time, there was a PELE, then came along a George Manneh Weah; two different legacies. Remember, Legacy is like personal opinion; everyone has his/her own. 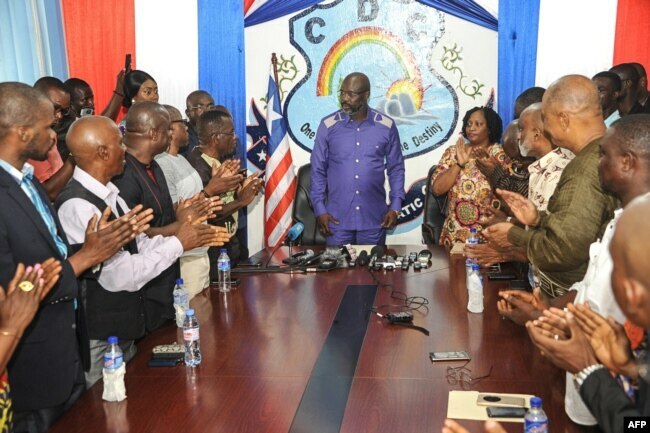 Again, congratulations on your election as the 25th President of the Republic of Liberia; I wish you and your family good health and longevity. HAPPY PROPERIOUS NEW YEAR, AND MAY THE ALMIGHTY GUIDE YOUR EVERY STEP.